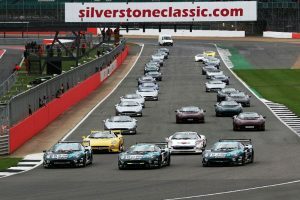 The 2017 Silverstone Classic has been universally acclaimed as another resounding success. The standard-setting three-day blockbuster staged at the country's premier race circuit not only further confirmed the Classic’s coveted credentials as the biggest motor sport event on earth but also raised the bar significantly higher by breaking yet more records both on and off the hallowed Grand Prix track. 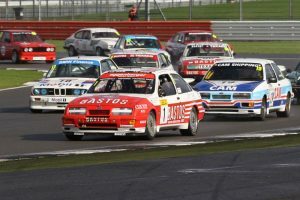 This year’s astonishing line-up of 22 memorable races featured the widest ever spectrum of outstanding racing machinery ranging from the ever-evocative Pre War Sports Cars of the roaring twenties right up to equally illustrious super touring cars of the far more modern nineties and noughties. 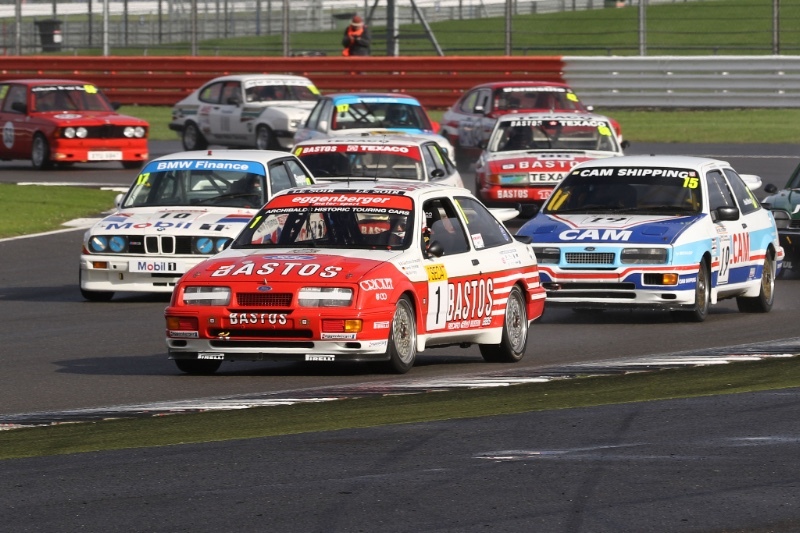 Despite a licence to start more than 50 cars per race, such is the Classic’s incredible popularity that many grids were still massively oversubscribed. In total, the packed programme attracted more than 1,000 entries and close to 800 drivers from right around the globe. (The results from all races are available via www.silverstoneclassic.com.) Adding some star-dust to the magical showcase, this year’s spectacle also included a high-profile Celebrity Challenge Trophy race drawing many famous faces from music, sport, showbiz and the media. Pre-event, no fewer than 21 high-profile personalities joined track days at Silverstone and many of the celebrities were coached to gain their mandatory competition licences by Silverstone’s Motorsport Academy before being given the opportunity to race in a field of equally-matched Austin A30 and A35s at the Classic on Saturday evening. It was a bold initiative that not only helped to introduce the many wonders of the Classic to new audiences but will also, hopefully, encourage others to get involved in the sport. Those competing included gold medal winning Olympians Jason Kenny, Mark Hunter, Greg Searle, Jonny Searle and Amy Williams, boxing legend Carl Froch, world champion bike riders Wayne Gardner and Freddie Spencer, TV stars Theo Paphitis and Ant Anstead, radio presenter Vassos Alexander, best-selling crime novelist Peter James plus rock and pop stars Brian Johnson and Howard Donald. The enthusiasm of both the celebrities and the owners – who so generously made their cars available for the race on Saturday before taking part in the racing themselves on Sunday – also helped raise almost £20,000 (and still counting!) for the event’s official charity partner, Prostate Cancer UK. The celebrated circuit also welcomed a feast of other outstanding attractions over the weekend. 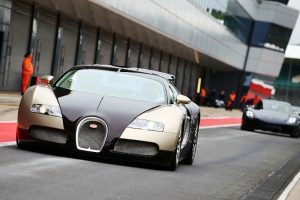 Friday witnessed an incredible cavalcade of hypercars curated by the SuperCar Driver club, topped by two rarely-seen Bugatti Veyrons. On Saturday, the focus switched to honouring 25 years of the remarkable Jaguar XJ220 with never-seen-before numbers gathering to mark the special occasion. What’s more, for the first time ever, all four XJ220C Le Mans cars were seen together – three in original racing liveries. Sunday’s spotlight was on another deified marque as unprecedented numbers of McLaren road cars took to the track to mark what would have been company founder Bruce McLaren’s 80thbirthday year. The stunning parade of 115 sportscars was led by Bruce’s daughter Amanda and it is hoped will be certified as a Guinness World Record. 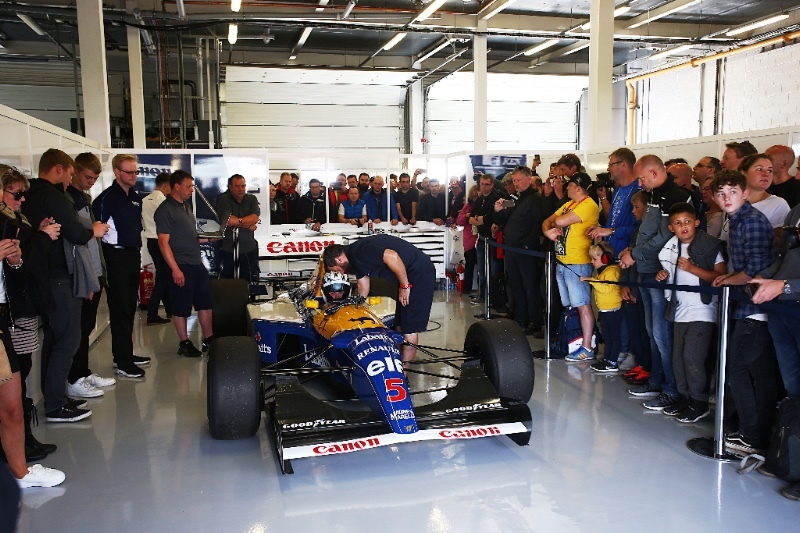 Visitors were also treated to the sensational sights – and sounds – of Nigel Mansell’s 1992 British Grand Prix winning Williams FW14B and World GP Bike Legends riding iconic 500cc two-stroke beasts from the golden age of Grand Prix motorcycle racing. 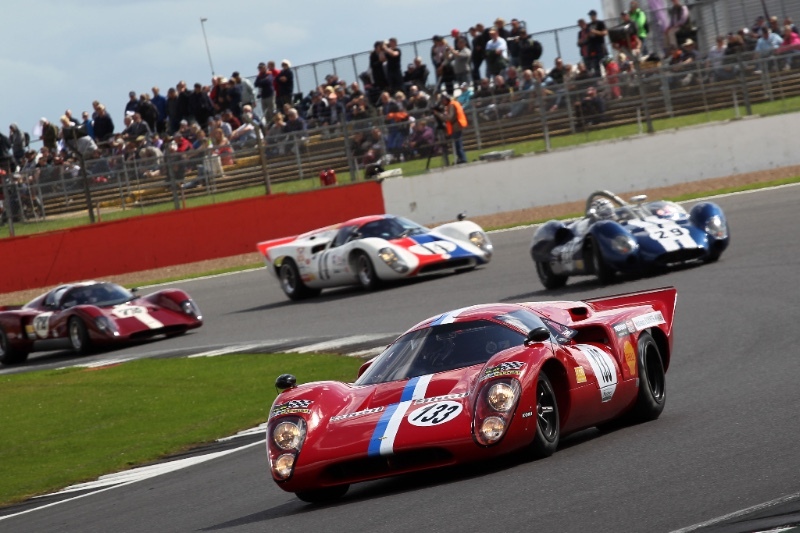 While always the heartbeat of the Silverstone Classic, the 31+ hours of unrivalled track action was, as ever, just the tip of an incredible iceberg of entertainment with a host of wondrous attractions and activities for all ages and interests. 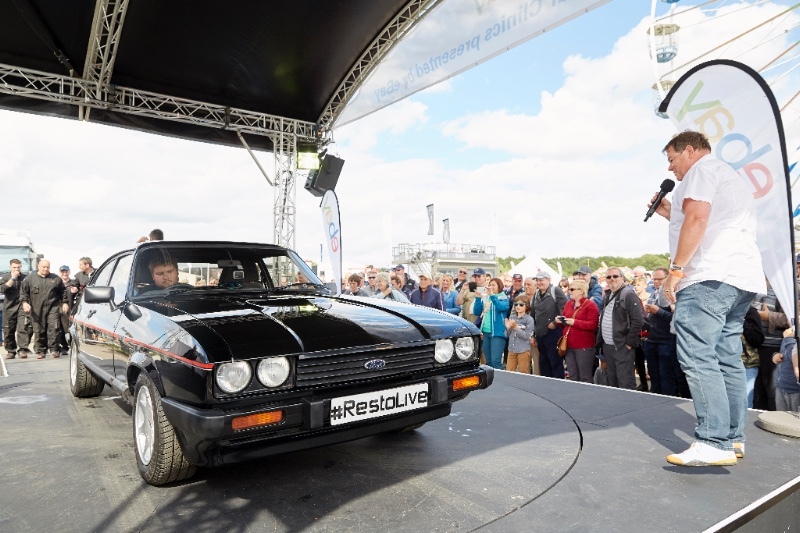 During the festival, a record number of 125 car clubs registered to display more than 10,000 privately owned classic cars on the infield areas – many celebrating their own milestones with exclusive track parades. Records tumbled, too, in lots coming under Silverstone Auction’s hammer. With £5.5 million total sales (up from £4.9m in 2016), the auction was the biggest yet with UK records set for a Ford Sierra RS500 at £114,750 and BMW 3.0 CSL at £137,250. 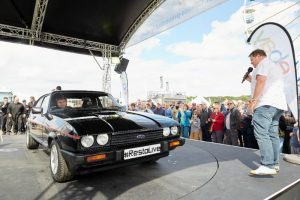 First introduced last year, the eBay RESTORATION LIVE was another massive draw as intrigued crowds watched a 1984 Ford Capri being revived using parts only purchased on eBay. The finished car is now being sold on ebay.co.uk, raising further funds for Prostate Cancer UK. The world-famous online marketplace also presented a series of crowd-pleasing Car Clinics hosted by ace wheeler dealer Mike Brewer. After their past popularity on Sunday, this year these Car Clinics were also held on Saturday with thousands of avid enthusiasts attending each show on both days. There were numerous other off-track highlights, too. Many exhibitors in the buzzing shopping village reported soaring sales, crowds flocked to the rubber burning Street Car Shootouts and queued for Jaguar’s equally-dramatic F-type Drift Experience.